Ever wonder why some funeral poems are head and shoulders above others, and some simply bore you to tears. Searching for the best funeral poem is like looking for a needle in a haystack, especially when you're on an emotional roller coaster. Some funeral poems express sorrow and seek comfort, while others meditate on death, grief, loss and mortality. Grief in any circumstance can be difficult to articulate. You want to acknowledge the pain and despair, yet express the gratitude for this person being a part of your life. Many people also wish to acknowledge or hint at the hope of the new life that is promised. An alternative to funeral poems is to select lyrics from a favorite song of the deceased, that speaks to their philosophy of life. Often that says far more about the personality of your loved one, rather than a poem. 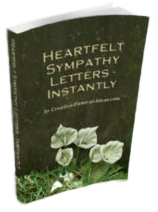 However the very best funeral poem - is one that is a one-of-a-kind poem, written specifically about your loved one. This wins hands down. It may be read aloud, or inserted in the program, and draws a tear and a smile to those in attendance at the service. Afterwards, it is framed and read over and over again. 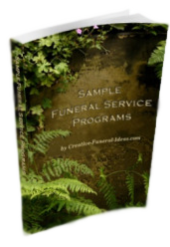 It is not uncommon to use more than one funeral poem throughout the service. The following is one of my favorite opening poems for the funeral or memorial service. It immediately acknowledges the death, and the pain of the survivors, setting the tone as to why everyone has gathered together. A death as occurred and everything is changed. That relationships once rich have ended. But there is another way to look upon this truth. that cannot be filled is a high tribute to this individual. but never after the loss of a treasure. The following is another favorite funeral poem. I like to insert the deceased's name in the third line from the bottom to make it personable. This is particularly appropriate for someone who has died of an accident or illness. If you are reading it aloud in the service, practice it aloud a few times to ensure you don't stumble on any of the words. This is an excellent poem to open the service. You promised me you'd always be there. You sat there, in that chair and promised me. Splashing us with expectations of your invincibility. You were invincible. Weren't you (insert name)? That made me believe that you could live forever? Still Overwhelmed Trying to Find The Best Funeral Poem? Can't find any poems that are even remotely close to what you're searching for? 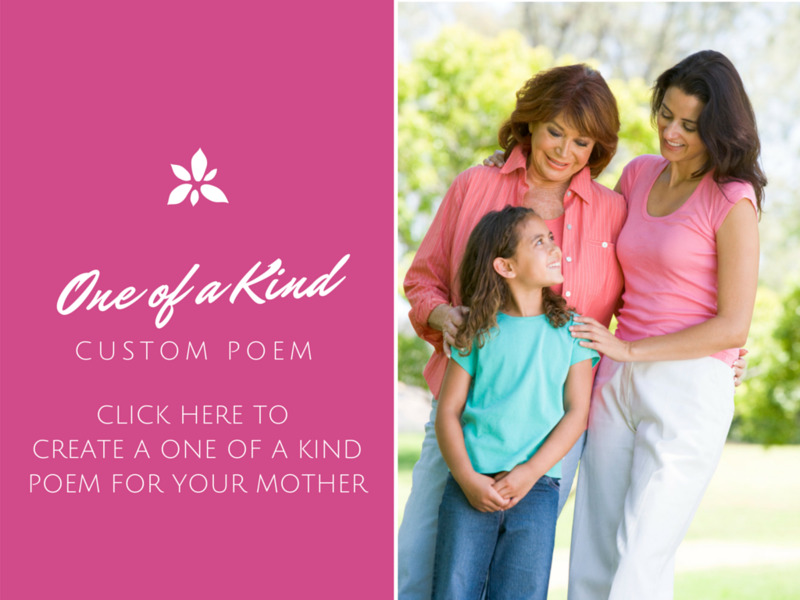 In three to five days, we can create for you an original, custom, personalized poem inspired by your loved one. And about your loved one. 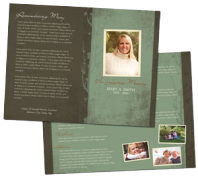 It will include personalized memories of the deceased, and about those that were most important in their life. If you would like to learn more about having a custom, personalized, one-of-a-kind poem written just for you click here. After looking through all our suggestions, are you still stuck for just the right poem? What about writing your own? For ideas on how to write a poem, this site is very helpful.